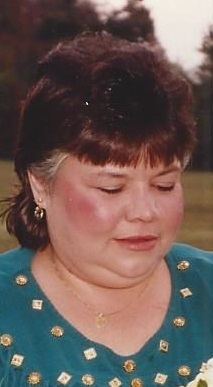 Shawney Howe Neblett, age 58 of Paducah, died Monday, July 9, 2018 at Baptist Health in Paducah. She was born the daughter of the late Clarence Howe and the late Mary Salyers Howe. She attended Free Spirit Biker Church in Paducah. Memorial services will be 6:00 p.m. Thursday, July 12, 2018 at Keeling & Goodman Funeral Home with Rev. Dennis Lawrence officiating. There will be no visitation. She is survived by her son: James “Butch” Dillon, Jr. of Paducah; her brother: Curtis “Pee Wee” Howe (Ruth) of Paducah; and her sister: Lorrie Marlar (Mike) of Paducah. In addition to her parents, she was preceded in death by her brothers: William “Bubby” Howe, and Jackie Howe; and her sisters: Joann Willhelm, Barbara Fields, and Tammy Holmes.